Michael has 24 years of Rural Realestate experience, and has been the forefront of the Water Broking Industry for 20 years. Michael is a registered water broker with the Australian Water Brokers Association (AWBA). he is well respected for his expertise and depth of both realestate and water trading knowledge. Michael has developed strong relationships with clients, irrigators, corporates, government bodies, other brokers and agents. Lauren joined the Landmark Harcourts team in May 2015 after 5 years with a leading legal firm working as a Personal Assistant & Conveyancing Clerk. Lauren is now an integral part of the Land & Water team and assists clients with their water and property requirements. Rob has has an eye for all things agriculture with a strong farming background. 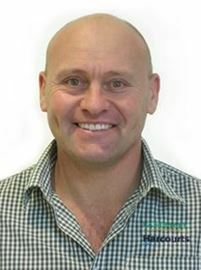 He has owned farming properties over the last 20 years, has held a management position at a large corporate dairy farm, and has experience in rural and residential Realestate sales in the Shepparton region. Rob’s enthusiasm, strong interest in agriculture and rural sales will make him a fantastic addition to our team. Sarah joined the Landmark Harcourts team in March 2019 after 12 years with a leading legal firm working as a Personal Assistant & Conveyancing Clerk. Sarah is now an integral part of the Land & Water team and assists clients with their water and property requirements. Simon has been a water broker since 2008. Simon is a registered water broker with the Australian Water Brokers Association (AWBA). He comes from an agricultural/farming background and has an extensive knowledge of the water broking industry. Simon has recently joined the Landmark Harcourts Shepparton real estate team, is looking forward to learning more about the real estate market and assisting clients. Is This Your Hay Day?